You can now transfer ‘pending’ Clubcard points to Avios or Virgin – no more quarterly waits! Most Head for Points readers know that both Avios and Virgin Flying Club are Tesco Clubcard partners. This allows you to transfer your Clubcard points into miles instead of using them in-store. It is a decent deal. £1 of Tesco Clubcard vouchers converts into 240 Avios or 250 Virgin Flying Club miles. This is substantially better value than using your Clubcard vouchers in-store for face value. You can convert to Avios via this page of the Tesco website and to Virgin Flying Club via this page. The points usually arrive overnight but this is not guaranteed. But there was always a snag …..
Tesco only issued your Clubcard points once per quarter. This meant that, if you had a large number of Clubcard points due to you, you had to wait up to 12 weeks to get your hands on them. This was clearly no good if you had a redemption flight to book. Tesco has now changed its rules. You can request your ‘pending’ Clubcard points whenever you like. You can then transfer them to Avios or Virgin Flying Club. This is how it works. I used the app – I am not sure if it is possible via the website too. Here is a screenshot I took on Thursday morning, with 257 points pending. I would not receive these before February if I waited. A voucher code was showing and I was able to redeem it immediately for £7.50 of Uber credit. The code was in my inbox within 30 seconds and I could immediately add it to my Uber account. There are some rules …. There are a couple of points to note about this new feature. The key one is that it is disabled for two weeks before your February, May, August and November Clubcard points statements are generated. This is to stop you withdrawing your points in the period that Tesco is printing and posting your statement, which might mean that you ended up with two lots of points. Secondly, using this feature requires you to opt out of receiving paper Clubcard statements. Future statements will be sent by email. 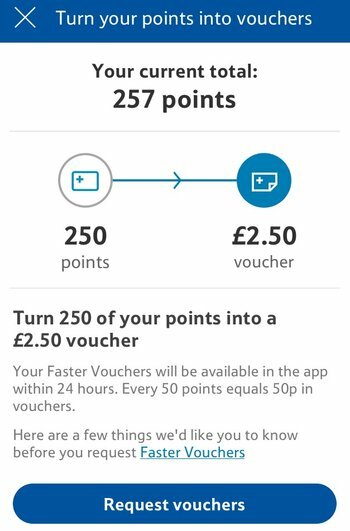 You need at least 150 Clubcard points to request instant vouchers, but this is the same rule that was in place for triggering paper vouchers so no-one loses out here. This is, undoubtedly, a genuine improvement to Tesco Clubcard for miles collectors. It is just a shame that Tesco has gutted the Clubcard scheme over the last two years, especially with the closure of Tesco Direct and Tesco Wine, making it hard to run up substantial points balances. Virgin has boosted its credit card sign-up bonuses - but which card is best for you? Yes, it is indeed possible through the Tesco website. I love the Tesco points scheme, even with all its quirks. Using my Tesco Premium card I have just managed to trigger the end of year bonus points (they haven’t acknowledged it yet though). It took me about 9 months to spend £5000. This gets me a bonus of 12000 Avios, plus the credit card points and Clubcard points. To do this I had to buy the groceries and fuel primarily at Tesco, rather than Morrisons or Sainsburys. All 3 supermarkets are close. I also bought all the wine I needed from Tesco, mainly on 25% off days. Id did complain to Tesco about the closure of Tesco Direct making it difficult to collect the end of year bonus, but all I got was a take it or leave it reply with an option to cancel the card and get some money back. However, others must have complained too as they will now address the issue when the Premium card returns this year with a lower fee. Bit late reporting, Rob. Been working since early Dec IIRC. 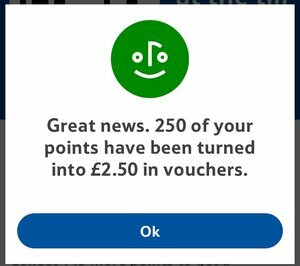 Still news to me and very useful when I trade in a large voucher and have previously had to wait a quarter for the change. Yes, news to me too so thank you Rob. 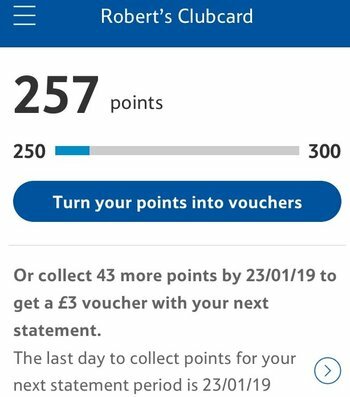 Rob probably gihued it would be a good idea to give people a couple of months to collect 350 points before reporting it! Clubcard really has gone down the drain with the exception of opportunities on fuel. Cannot see that lasting much longer tbh. Only went onto the app as an option this week which is the only place I look! Why not just scrap the normal voucher system altogether? Are there people who still like using vouchers to get 1% off in Tesco? If you saw the stats, I think you would be amazed at the numbers who don’t have computer or smartphone, nor even a bank account. I guess these would use CC vouchers etc in the shop and think they were getting a good deal. Yes, the vet i use told me just this week she uses hers in shop, she knows it’s the worse value but she said it suits her the best. Most of friends also use them in the shop. I’d also imagine the vast majority of people use them in-store as it’s the most obvious unless you’re sussed up on the savvy front. Even the sussed ones seem to just say its easier to use them in the shop. I have a keen Tesco friend who used her Tesco points for some Avios that she got an rfs flight with. She said it was all too much bother and she’ll just use them for money off her shopping in future. I think I’ll leave the instant conversation option as I’m still on the Grandfather rate, and if rather not mess that up. Lucky you. I’ve been finished with Tesco for a while now. No CC to Avios bonuses or Virgin anymore and since the 3v card trick went it ended it for me. Me too. I’ve went from 30000 CC points to 30. Normal spoken usage in some parts of the country! I know the answer would be NO; still trying. When I transfer Amex MR to Delta SkyMiles, are this Elite Qualifying? i.e. would it count towards Elite MQM – Medallion Qualifying Miles? Any other avenues for earning MQM other than flying? In UK of course we do not have any Delta credit card, so that does not seem an option. Except he doesn’t shop at either. Plus the COOP is much more than 5% more expensive to stay off with. Tesco Metro is 45 seconds from my house, Co-Op is 2 miles ….. I was looking at booking a The Collection Hotel with my amex. I would be paying upfront for my stay with my amex,but do you still need to use your card at the hotel to receive the $100 credit ,was looking to cancel before the stay? Probably not but you may need an Amex to settle incidentals. Can you prepay Collection hotels? FHR for Plats is always pay on departure. V g value, if avios rich…quick hop to dub on ryan air or ba RFS. But no F out of Dublin on CX. I’m therefore unlikely to take advantage of the £300 saving. I recon I could consume the £ and Avios difference in Krug and caviar. Not really convinced for a number of reasons. First, are the flight times not such that you will need both a positioning flight and a hotel to guarantee your connection? Second, that wastes a lot of time if you can go direct from London. Time is money and lost time can be loss of a whole lot of other things you might well have done. Personally I’d have opted for First on BA direct from London which also comes with free seat selection which is handy if you are not silver or gold. Preflight dining in Concorde rooms means you can then get more sleep on plane which is great if you choose the later flight. Booked this from EDI last night and also a flight from HKG to BKK on CX J for Xmas. Total for both was 117k avios and £438 pp. Absolute bargain IMO, particularly given the prices of Xmas flights. I agree. I should also say that I wasn’t blown away by CX J on the a350 – I was flying out of LGW so didn’t even get the T3 lounge, and also I’m not impressed by DUB lounges. I’m always a bit of a grump about positioning flights, especially when you fly them in the “wrong” direction to start with! Definitely depends on scale of saving. My £40 Norwegian flights plus points redemption at Oslo Airport definitely worth the £2k saving over EDI-LHR departure option, even with a bit of extra travel time! I don’t see ‘Turn Your Points into Vouchers’ on the app (iOS) could this be because I have previously opted to automatically turn points into Avios? I’ve also always opted to automatically turn Avios into points because I wasn’t sure how it worked otherwise. Guess I’m not very clued up! It would be great if you swiped you card a just send your point that way. Instead we have to wait for them to turn to money. Coop points are only awarded on own-brand products not the full shop. Can anyone confirm does a small transfer from Tesco stop Virgin points expiring? I was going to let a chunk of Virgin miles expire, but think I’d better try to stop them expiring till we see how flybe turns out. If not a tesco move ? of 250? then is there any other way of stopping Virgin points expiring without logging in to Virgin? Tesco transfer and Amex MR transfers work ok.
I’ve always been scared to change my Tesco points as they’re “grandfathered” to 800 per £2.50 If I switch to Virgin – which I would like to as I’m just on 26000 from ISA (I think they’ve stopped it now? Or do I have to leave and rejoin?) would I lose the 800 points?!? This was mentioned earlier, and you will loose the extra…..I did an experiment to check…..don’t ask how. In my experience you’ll keep the 800 rate. I only found out back in October that I am on the grandfathered rate. I have never had Avios selected as an option for automatically converting my points into, but I get the higher rate anyway. Just to add that on Sunday I initiated a transfer of £2.50 of CC points into Avios. I still got the grandfathered rate of 800 Avios. 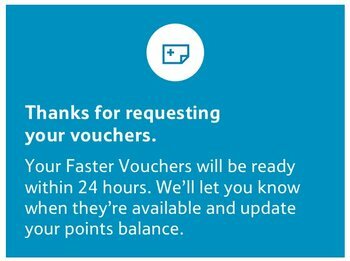 I have changed my default setting for points from vouchers to Virgin and to Christmas Savers and back to vouchers during that time. Making those changes has not affected my grandfathering rate. Maybe I’m just lucky? Does anybody know if there is an arrival lounge at Johannesburg Airport, will be arriving BA First Class early in the morning. Does anybody know if it is possible to add a flight on to a redemption ticket. For example I have a redemption booked with companion voucher from Johannesburg to Edinburgh BA. If I want to start my trip home from Cape Town can I book a Reward Flight Saver for a Comair flight via BA from Cape Town to Johannesburg and have it added to my redemption ticket so my flight from Johannesburg is protected if the Comair flight was delayed or canceled. Or do i have to pay for a new pair of tickets if I were to miss the flight back to the UK? Also has anyone got any experience of Comair business? Is it worth an extra 3,750 avios each? You can add flights to an existing Avios booking. You’d pay a £35 change fee per ticket as well as extra miles and cash. It depends if the award seat you want to add is available. If not then you can’t mix cash and award flights on same ticket. So if you were forced to buy the different flight with cash you would not be protected. Note also that if you are relying on eu261 then it applies to all airlines on legs flying out of Europe however on legs back to Europe then eu261 only covers you if you’re flying on a European airline. Where’s Harry when you need him?? !